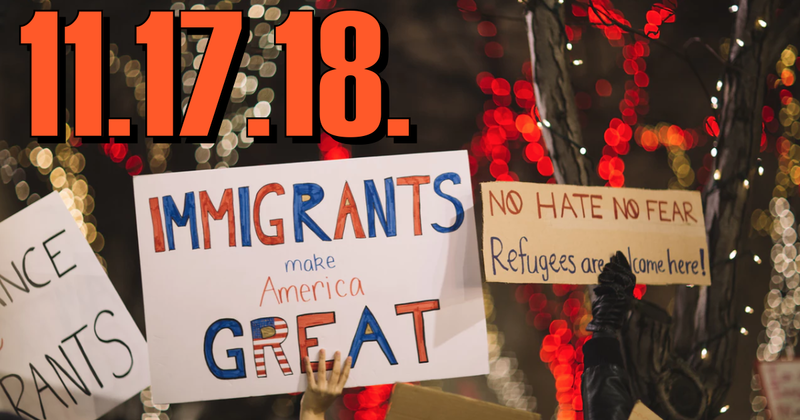 This week on Middle Theory, we examine the issue over immigration, the Central American migrant caravans, and America’s dark history of intolerance toward foreigners. In that same tradition, as we cast our blade-like beams across news and history this week, we first look at Bill Maher’s criticism of the late Stan Lee’s adult fans, and how comics are very much the continuation of an age-old mythical ideal. We then look at potentially big developments in the ongoing Muller Special Counsel Investigation, which may be ending soon (and which appears to have Donald Trump on edge). Also, the CIA has said that it has determined that the death of journalist Jamal Koshoggi was indeed directed by the Saudi Crown Prince… a claim which the Saudis continue to deny. Then later in the program, we turn our attention to the migrant caravan which has recently been passing through Mexico, and thereafter, a broader discussion about the history of American Intolerance with Dr. Robert E. Bartholomew, a sociologist who lends his perspectives on America’s dark history of demonizing immigrants. While much of the rhetoric in American politics today is disconcerting, Bartholomew shows us that it is nothing new, in a wide-reaching discussion on issues of ethnicity, immigration, science and history. Did Trump’s Twitter Tantrum allude to knowledge of special counsel proceedings? This entry was posted in Uncategorized and tagged Bill Maher, Immigration, Kashoggi, migrant caravan, Muller probe. Donald Trump, Stan Lee by Micah Hanks. Bookmark the permalink.